Argentina takes up almost all of southern South America, and is one of the continent’s most popular destinations. You can learn to dance the Tango during a Buenos Aires Tour, observe the natural beauty of the Iguazu Falls, ski the Andes in Bariloche, or taste some of the best wines in the world in Mendoza. The best time to travel to Buenos Aires is in spring (September to November) and fall (March to May), as the summer can be hot and humid. Iguazu Falls has a tropical climate and can be visited year-round. For Bariloche and the Lake District, Mendoza, and Cordoba, the best time is the fall, when temperatures are more comfortable and these destinations are less crowded. For Patagonia, the best time is October to March, when the weather is warmer, and more tourist attractions can be visited. For skiing, the season runs from June to October. Shopping in Argentina is a hot bed for your shopping extravaganza. It has everything from those hole-in-the-wall street markets, where you might a rare jewel for a relative at home to the ritzy brand names that we all have grown fond of. While shopping in Buenos Aires Argentina you may notice a European flair, but that is because Buenos Aires is known as a Latin Paris. The architecture is been heavily influenced by the Europeans, so you might forget where you are until you hear the Spanish colloquial. Those grand boulevards full of antique shops, boutiques and galleries are just around the corner. The first place you might start shopping in Argentina is at the winding streets of Arroyo. Breath in the culture andarchitecture as you browse through this small part of the country. You may try your shopping eye at San Telmo where there is a Sunday flea market. Train your bartering skills to get those cheap prices for those unique authentic souvenirs to take home with you to share with friends and family something exotic from Argentina. Another place to barter are the Sunday antiques fair at Plaza Dorego. Just when you wallet and credit cards are getting warmed up, visit downtown at Calle Florida. Most visitors take their shopping ventures here to this grand pedestrian mall. It is known for its boutiques, which sell leather goods and furs. For some this mile long shopping expedition might get tiring, but the architecture integrity will amaze you and keep you engaged until the final lap down this long shopping runway. You’ll know when the end is near when you encounter Plaza San Martin, which is named after Argentina’s national hero. Besides passing beautiful architecture and boutiques, you will see department stores, banks, and clubs that were built in the beginning of the twentieth century. The only problem with this expansive shopping paradise is that fact that it sells at New York prices. But that only means expect the best. Another place to go shopping in Buenos Aires Argentina is at Patio Bullrich. You cannot go wrong here, for it less crowded and a little cheaper than calle Florida. The shopping does not end there. You will want to spend some time at Avenida Alvear, where you will walk among retail’s biggest giants including Louis Vutton and Georgia Armani among others. You have the best chance of bumping into a celebrity at Avenida Alvear. It may feel like Paris, but it is most notably none other than Buenos Aires. Enjoy it. Shopping in Buenos Aires Argentina is the perfect place to shop and tantalize anyone’s taste for architecture. You will want to keep shopping in Argentina just to see more artistic workmanship around the corner. Anywhere one goes in the world, he or she will find a multitude of sites and activities to do. Argentina is one of the biggest countries in the world that is said to be the “land of six continents” all in one. The best idea may be to devote a vacation to each region in order to enjoy the most of it. You can travel from deep in the rainforest taking pictures of exotic animals and plants, to watching opera in at the Buenos Aires–the capital of Argentina, to the beach to soak up the rays of the sun, or to the mountainous region of the south in Patagonia where glaciers share their overpowering presence. The question isn’t what you can see, but do you have enough vacation time to see it. There is much to see here in this metropolis for cosmopolitans. Take a walk through the center of the city through Plaza de Mayo to familiarize yourself with the city and its history where many historical events took place. Head over to San Telmo in Buenos Aires to shop amongst vibrant colors, exotic boutiques and cobble stone streets. If your feet still have energy, then take off your walking shoes and put on your dancing shoes to enjoy the vibrant life of the tango. Or if you just want to rest, relax at one of the world’s best opera houses named Teatro Colon. Other places you may enjoy are the La Recoleta, a famous Argentina cemetery where aristocracy and military officials are buried including Juan Peron, several presidents and wealthy characters. You’ll find this famous cemetery in the Recoleta neighborhood of Buenos Aires. After the hustle and bustle of the city, you may venture out to greener pastures to Iguazu Falls, which is taller and much wider than the Niagara Falls. It is truly a natural wonder. Take one of the many tours and explore about two and a half miles of churning white noise laid out in a picturesque scene. Then travel south to Valdez Peninsula where over two hundred thousand tourists visit each year to see the whales and orcas. On your adventure to the southern part of Argentina, visit Pampas, where world-class beaches are strewn on the landscape with a painter’s flair. Try Mar de Plata too where you can swim with the seals. Mar Del Plata is a seaside resort where ground tours are available and paragliding as well. And after sun has gone down, enjoy a few cocktails as the nightlife begins to heat up. After the beach, explore the Perito Glacier. This site is excellent for all ages, and you can walk right up and along side the glacier to experience them first hand. 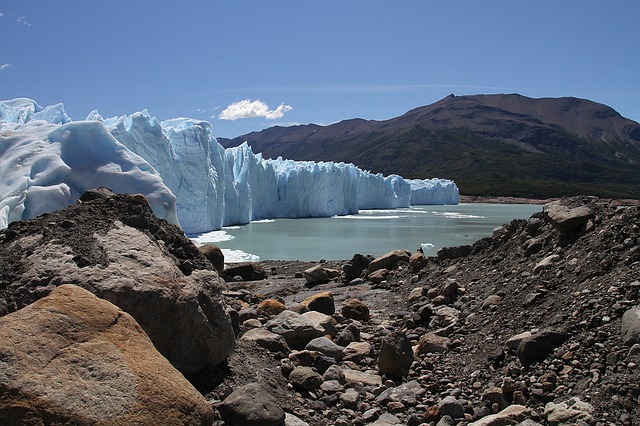 Located in Los Glaciares National Park it is also one of the world’s largest reserve of fresh water. After the glacier, venture further south to what is known as the “end of the world” or possible the end of your vacation to visit Ushuaia, where looming mountains stand strong and majestic lakes mirror the sky. Each place will provide a lasting impression to take with you for a lifetime to share stories and pictures with friends and family. This is not just a sightseeing tour, but journey full of lasting memories. Choose your vacation carefully so you don’t miss anything you want to see. What vaccinations are required for travel to Argentina? The Centers for Disease Control and Prevention’s website provides recommended and/or required vaccinations for each country. For Argentina, it recommends that you should be up-to-date with routine shots such as measles/mumps/rubella (MMR) vaccine, diphtheria/pertussis/tetanus (DPT) vaccine, and poliovirus vaccine, and that you get vaccinated for Hepatitis A and Typhoid, and Hepatitis B, depending upon your travel plans. The CDC recommends Yellow Fever vaccination if you are traveling to the northern and northeastern forested areas of Argentina, including Iguassu Falls and all areas bordering Paraguay and Brazil. The CDC also suggests that you see a health-care provider at least 4-6 weeks before your trip to allow time for your vaccines to take effect. What are the passport/visa requirements for American citizens traveling to Argentina? U.S., Australian, Canadian, and EU citizens require a passport and return ticket for stays of up to 90 days. Citizens of other countries are advised to contact the Argentinian embassy in their country before traveling. What are the standard wall currents and electrical socket shapes in Argentina? Voltage: 220 V; Frequency: 50 HZ; Plugs: Type C (European 2-pin) and Type I (oblique flat blades with ground inverted V). What are the international departure taxes for Argentina?